As I have mentioned before, meringues can be a little tricky to make. Seriously though there is no reason to fear – its so fun. 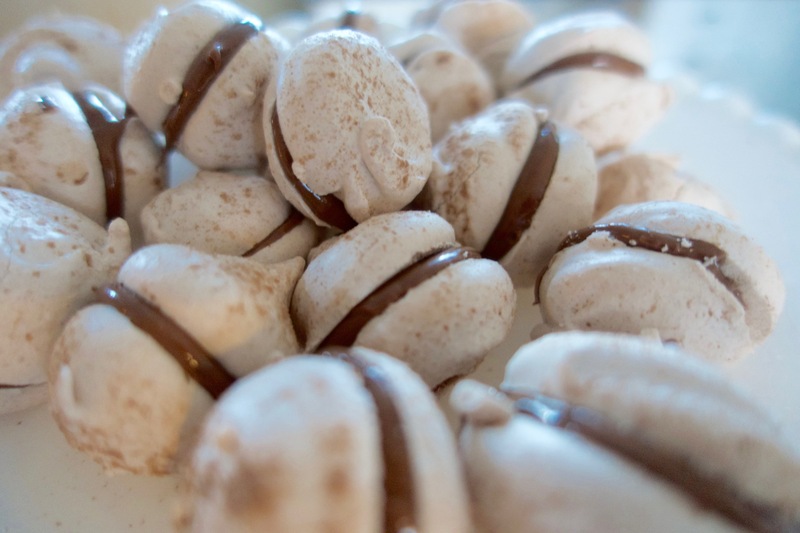 I’m starting with some brief tips that will ensure a successful meringue, followed by the must try hazelnut-espresso recipe! Separating eggs is easier when they are cold but they whip to their maximum volume at room temperature. So, I recommend separating your whites then leave them in a bowl for a half hour or so to reach room temp. Keep all moisture and grease far far away from your meringues. No running the dishwasher or left over oil in your mixing bowl! This can destroy all your hard work. Pre heat your oven to 200 degrees fahrenheit. In your electric mixer, beat your room temp. egg whites to the Foam stage then add the cream of tartar. Keep whipping until you reach the soft peak stage, then slowly add sugar by the tablespoon until it’s all added. Once your eggs hit the stiff peak stage, add the espresso powder until incorporated. Be careful not to over whip (it will get chunky and you’ll have to start over). 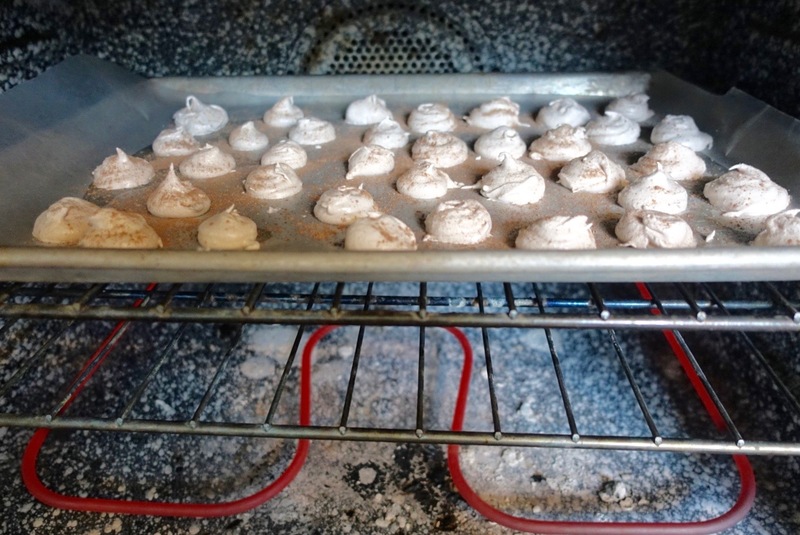 Drop spoonfuls of your meringue onto parchment lined cookie sheets or use a piping bag. The bag is nice because its easier to control the tops of the meringue which ideally you want to be flat. Make these about 2 inches round. Dust with cocoa powder prior to baking. Bake for 90 minutes at 200. Turn your oven off and leave your meringues inside the oven to start to cool off slowly. Leave them in there for another 60 minutes. 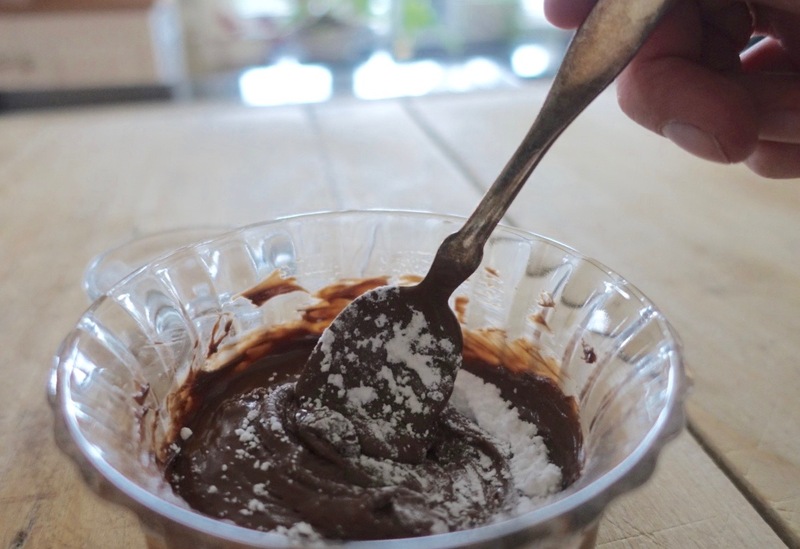 In the mean time, mix your Nutella and confectioners sugar together. 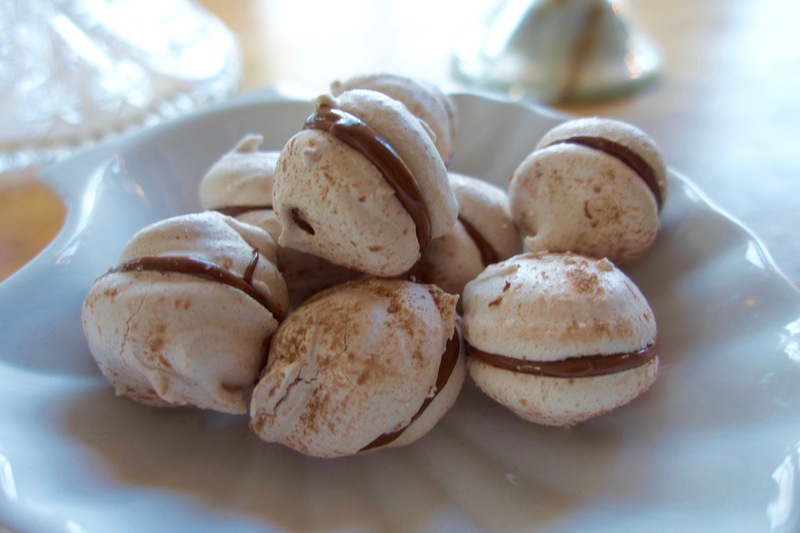 Once your meringues have cooled, pop them off the parchment and ice the flat side of one meringue with your Nutella mixture and sandwich it with another meringue. Voila! You have your Hazelnut-Espresso delight. Enjoy 🙂 you earned it!! !